Mission Kristu Jayanti College strives to provide educational opportunities to all aspiring youth to excel in life by nurturing academic excellence, fostering values, creating civic responsibility and building global competencies in a dynamic environment. Holistic pedagogy based on attitude, skill, value and knowledge. Faculty diaspora from industry and academia. Flexibility of choosing elective papers for specialization. Interactive insights from global and national business leaders. Domain skill reengineering through certificate programs, seminars, conferences,MDP’s. Value added courses based on industry certifications, life skills, and aptitude. Activity learning methodology based on planning, coordination and execution. Exquisite infrastructure including conference rooms, panel rooms, discussion rooms, auditorium and amphitheater. Excellent learning and leisure facilities. Spacious library with 24/7 access to e resources. Dedicated department for career grooming – CPCR. Focus on employ ability skill development. 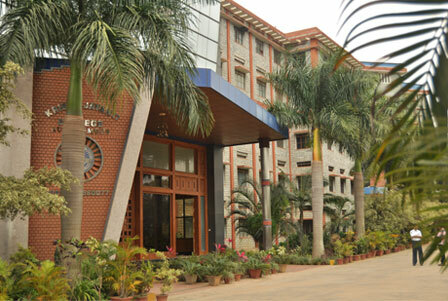 Kristu Jayanti College Bangalore Has Vibrant Alumni network. Candidates who have obtained a Bachelor’s degree (10+2+3), Master’s Degree from a recognized university in disciplines of Commerce, Management, Arts, Science, Engineering/Technology, or equivalent and have secured not less than 50% of Marks in aggregate (including languages) are eligible for admission to this programme. All the aspiring candidates should write national level CMAT conducted by AICTE/ MAT conducted by AIMA /CAT exam. The score secured in any of these test is necessary to complete the application form. Academic and Scientific Cooperation between Apalachian State University America. Agreement with FHDW for the Pilot Project “ Shiort Term Programme”. Agreement of Cooperation Between Fachhochschule Dortmund (UASA). and Professional opportunities for Academic Staff.